Both Amish and Mennonite furniture have seen an increase in popularity in Canada in recent years. Ontario itself is home to many Amish and Mennonite communities. If you live in the Toronto area, you don’t have to go far to find Amish-made furniture, with at least a half-dozen Amish furniture retailers found in the vicinity of Toronto and nearby towns, neighborhoods and cities including Mississauga, North York, Scarborough, Etobicoke, Brampton, Markham, Hamilton, Vaughan, Pickering and others. Check dealer information given below before traveling long distances. Amish-owned companies are never open on Sundays. Furniture retailers owned by non-Amish individuals may be open. Find Amish-made furniture in the USA at the Amish Furniture 50-state directory. Live elsewhere in Ontario? Try our Ontario Amish furniture guide. To learn more about local Amish & Mennonite communities, read more on Amish near Toronto. This furniture retailer located in Bowmanville (75 km east of downtown Toronto) carries Amish and Mennonite crafted furniture as well as non-Amish brands. Furniture for the dining room, bedroom, living room, home office, and accent pieces including curios and occasional pieces. In business since 1995. Mennonite and Amish-made furniture in woods including oak, elm, cherry, ash, maple, walnut, pine, old board (reclaimed lumber) and other varieties. Custom furniture available. Estimated completion time 4-6 weeks after order is placed. Delivery available. Furniture for each room of the home as well as children’s furniture and outdoor furniture. Urban Amish interiors features a 9,000 square-foot showroom showcasing Amish-made solid wood furniture. Amish Furniture Designed sells a full assortment of Amish-crafted furniture pieces for the entire home. Amish furniture styles include Shaker, Mission, Traditional and Contemporary styles. Furniture selection includes beds, bunk beds, sleigh beds, dressers, mirrors, jewelry chests, nightstands, dining tables & chairs, hutches, chests, curios, entertainment centers, end tables, bookcases, desks, TV cabinets, ottomans, fireplaces and more. Woods include oak, quartersawn white oak, cherry, brown maple. Two Toronto-area locations: Pickering and the new location in Mississauga. Simply Elegant Home Furnishings sells furniture sourced to Ontario Amish woodworkers. They also sell furniture built by non-Amish sources. Additionally, Simply Elegant sells Mennonite furniture from Canada craftsmen. Bedroom, living room, and other furniture pieces. AmishLand Canada is located in downtown Bowmanville, a half-hour east of Toronto. The company sells Amish and Mennonite furniture along with other brands. As of 2013, Ontario was home to about 5,000 Amish living in over a dozen communities (see Donnermeyer, Joseph F., and David Luthy, “Amish Settlements Across America: 2013″, Journal of Amish and Plain Anabaptist Studies: Volume 1, Issue 2 October 2013). All Amish in Canada currently live in Ontario though attempts have been made in the past to settle in British Columbia. Canada has long been home to the Amish with Amish settlers calling the province home since the 1800s. The furthest northern settlement in Ontario is located near Earlton in Timiskaming District, also the youngest Amish community in Canada as of late 2013. Much Amish settlement in Ontario is clustered in counties in the vicinity of the eastern coast of Lake Huron, including Bruce, Grey, Huron, Oxford, and Perth. Amish communities within range of Toronto can often be found in the vicinity of Mennonite settlements. Old Order Mennonites (aka “Team” Mennonites) are similar to the Amish in their plain style of dress, limited use of technology, and reliance on horse-drawn transportation. Old Order Mennonites differ somewhat from Amish by their appearance, with Mennonite men being clean-shaven and Mennonite women typically wearing simple patterned dresses (Amish women wear solid colors), among other differences. Mennonite buggy styles also differ noticeably from those of the Amish. 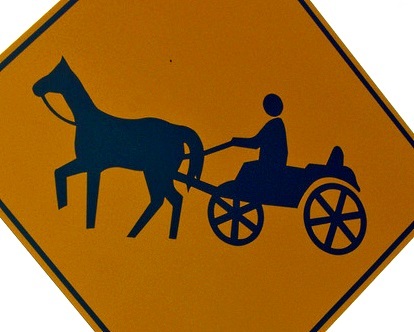 Some horse-and-buggy Mennonites also permit use of public electricity. Old Order Mennonites also produce furniture in significant quantities which can be purchased in Toronto retail stores and elsewhere in Ontario. Significant Old Order Mennonite communities can be found in the areas of Waterloo, St. Jacobs, Kitchener, Aylmer among other locations. While the Toronto area provides numerous retail options for purchasing Amish-made furniture, some buyers prefer to visit communities directly. Amish have become increasingly dependent on small business and in many communities simple hand-lettered signs mark the presence of Amish cottage businesses. However, not all Amish furniture manufacturers sell direct to the public. Additionally, many furniture retailers rely on Amish suppliers in large furniture-producing communities in the US, in states such as Indiana, Ohio, and Pennsylvania. That noted, the following communities lie within a reasonable drive of Toronto (generally 2 hours or less) and may be home to Amish wood craftsmen retailing their furniture. Be aware that no Amish businesses will be open on Sundays in recognition of religious beliefs dictating the day to be one of rest. Norwich – Lying about 90 minutes southwest of Toronto, this community of 4 congregations has been a part of the local landscape since the 1950s. Milverton/Millbank – This settlement in Perth and Waterloo counties can be reached from Toronto in under 2 hours. This is Canada’s largest Amish settlement, with over 1,000 Amish living in the area. This settlement is by far Canada’s oldest as well, at nearly 2 centuries in existence. Aylmer – The community at Aylmer is home to Pathway Publishing, a prominent Amish publisher of plain periodicals and books. Cameron/Lindsay (Victoria County): – Around an hour and a half northeast of Toronto, this small settlement was founded in the late 1990s. I’m trying to subscribe to your news letter but it will no let me.